Better than new! Craftsman style home built in 2018 has been lovingly cared for and is move in ready. Open floor plan features formal DR, eat in kitchen with two bars, 4 BR and 2 full BA. Gorgeous master bath has double vanity, soaking tub and separate shower. Kitchen is tastefully appointed with granite, stainless steel and soft close hardwood cabinets. 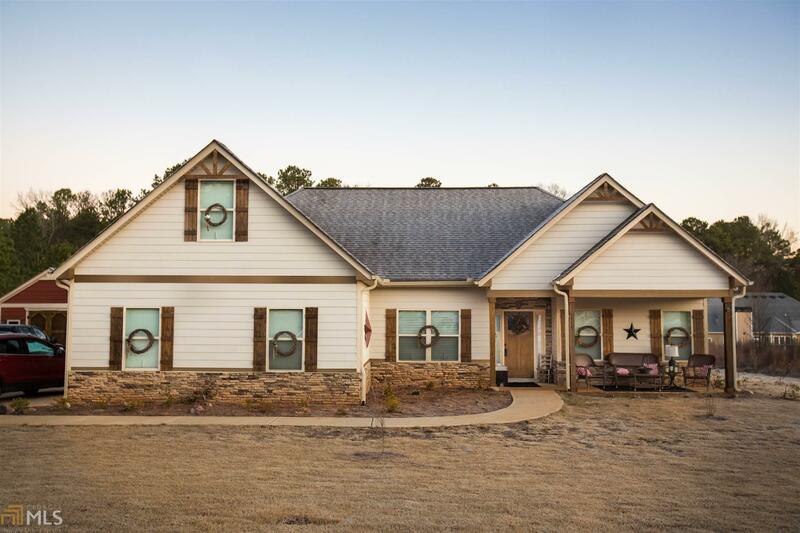 Located in small subdivision, just minutes from Jackson Lake and short drive from I-20 and I-75, this home is perfect for quiet country living w/ convenience. Owners transfer makes this a great opportunity to get new house with upgrades inc. faux wood blinds throughout home, hardwood floors, upgraded landscaping and a "He-She" Shed for storage or other possibilities! Call to see this beautiful home today.